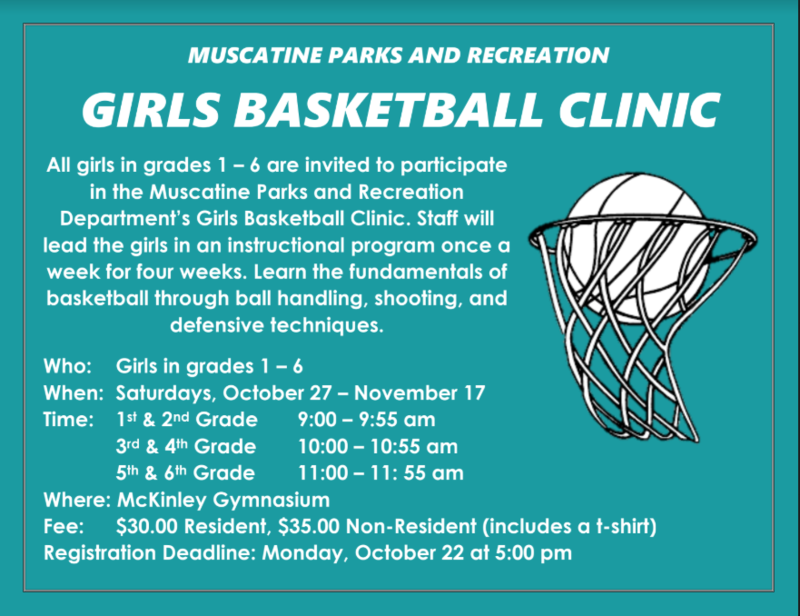 Description: All girls in grades 1-6 are invited to participate in the Muscatine Parks and Recreation Department’s Girls Basketball Clinic. Staff will lead the girls in an instructional program once a week for four weeks. Learn the fundamentals of basketball through ball handling, shooting, and defensive techniques.